BuzzFeed is looking beyond its own massive distribution network for a new short-form docuseries dubbed Follow This, which will premiere on Netflix July 9. Follow This comes from BuzzFeed’s News division, and will follow reporters behind the scenes as they uncover stories about culture, social issues, technology, and more. The first season will comprise more than 20 episodes — each running roughly 15 minutes and following a specific BuzzFeed journalist. 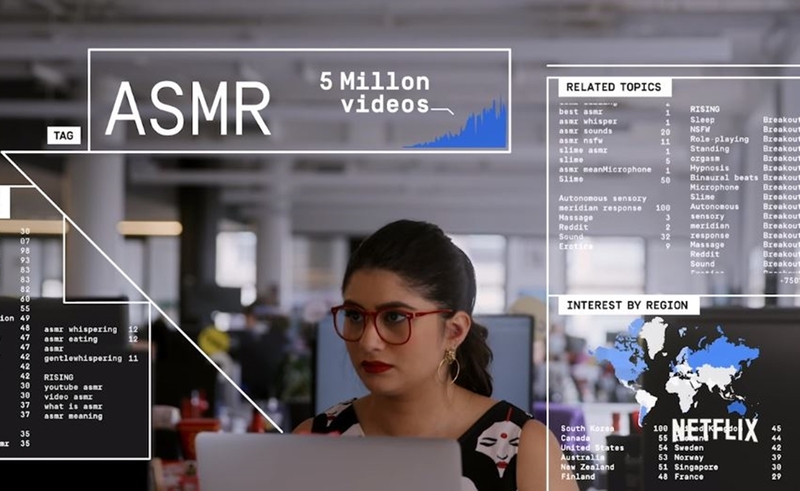 The first episode, titled The Internet Whisperers, will feature Scaachi Koul as she examines the YouTube phenomenon of ASMR (see below). Future installments will feature senior culture writer Bim Adewunmi, senior national correspondent John Stanton, and senior tech writer Charlie Warzel. Follow This represents the fourth series on which BuzzFeed News is partnering with a third-party distributor. Daily news and culture shows AM To DM and Reporting To You air on Twitter and Spotify, respectively, while an investigative series called What Happened To…Jessica Chamberss will premiere on Oxygen later this year — marking BuzzFeed’s first linear TV outing. BuzzFeed News said it is also pitching a nightly news show to a premium cable network, it says, as well as various shows to Facebook Watch.